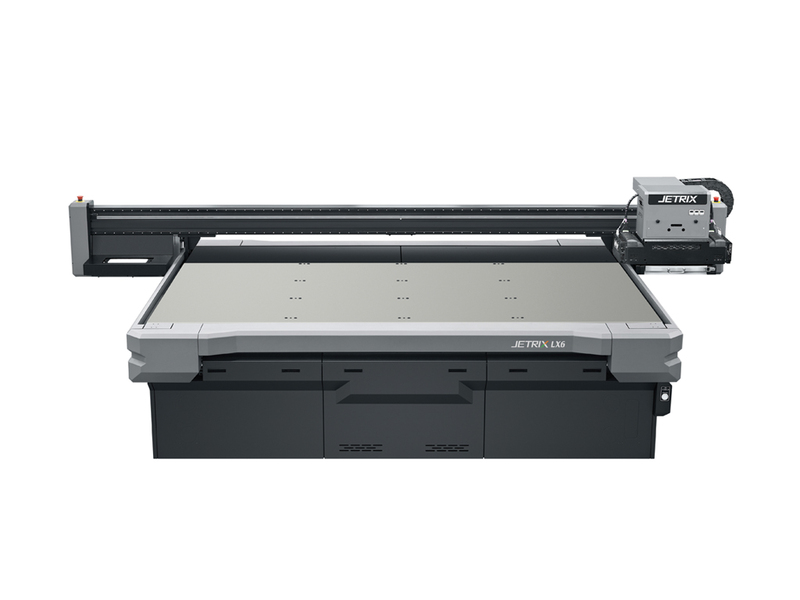 The JETRIX KX6 (LED) is an entry level high speed flatbed printer, delivering high definition print quality of 1440dpi at 28sqm/hr. It combines all the tried and tested technology of the established KX6 with the very latest LED lamps, anti-static system, motion alarm for operator safety and uses the ultra reliable Konica 6pl print head. The printer achieves accurate and precise edge-to-edge printing with strong adhesion to many medias including plastic and metal substrates. Copyrightⓒsince 1992 InkTec co., ltd. All rights reserved.